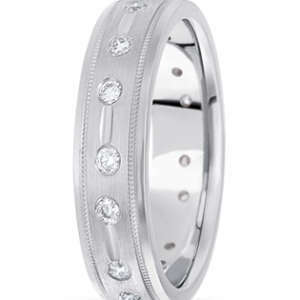 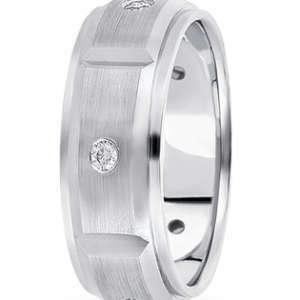 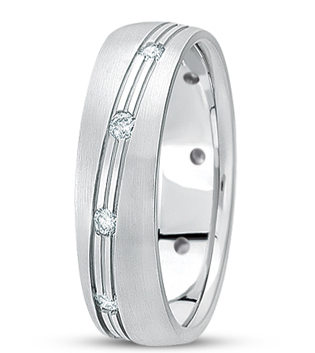 This Diagonal Diamond wedding band has three indented lines that move diagonally around the ring. 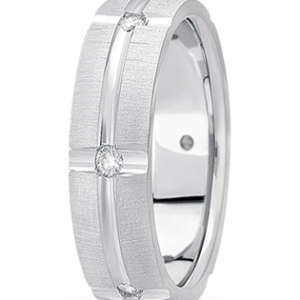 Within the diagonal lines are diamonds set around the band. 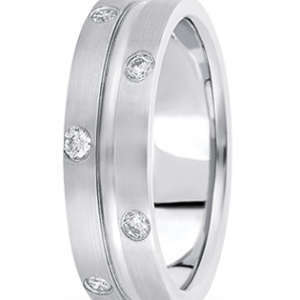 This wedding band can be made in white, yellow or two-tone gold and is customizable to accommodate different widths and ring sizes.